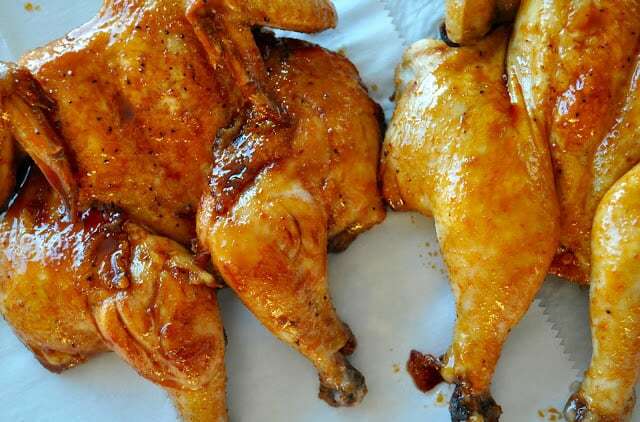 I’ve always passed up Tyson® Premium Cornish Hens because I thought they were too much work and took too long to cook, when I finally slowed down and took another look at them I realized that they actually cook up in about an hour. 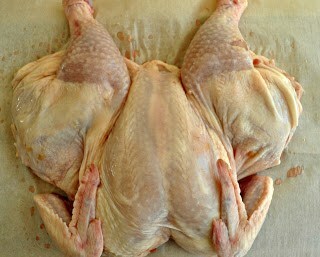 And if you Spatchcock them, remove the backbone and press the bird flat, they cook in roughly 30 minutes. 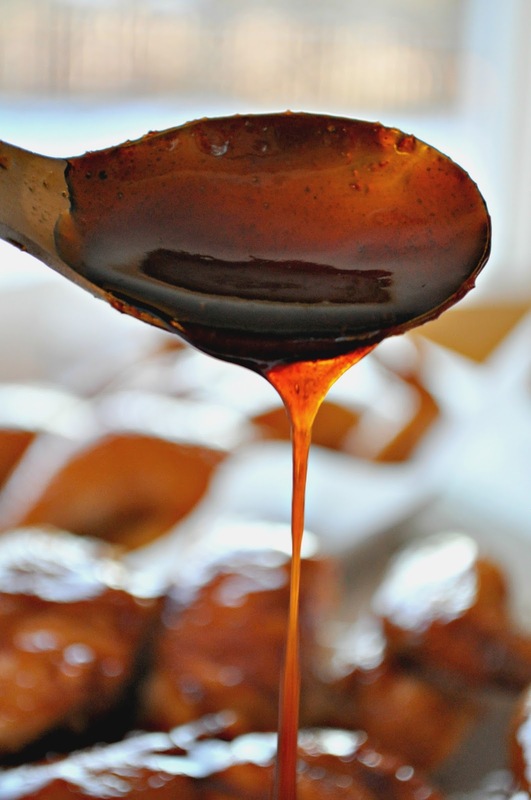 Add a spicy sweet glaze in the last ten minutes of cooking and you’ve practically got a gourmet meal on your hands. Oven to table in 30 minutes? That’s a quick cooking meal in my book any day! 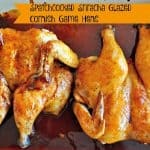 Spatchcocked Sriracha Glazed Cornish Hens, they’re fancy enough to be served to guests yet your kids will be impressed with them as well. Either way they’re a win in my book. When I think about cooking a nice sit down meal I always consider what kind of prep work it takes and how long I’ll be spending in the kitchen in total. I don’t mind a lot of kitchen work, I just need to know what I’m looking at and if I can trim it down in any way. After I purchased my Tyson® Premium Cornish Hens at Fred Meyer I came home and did my research, what was I looking at in terms of total time spent? Hmmmm, normally bakes up in an hour, how can I cut that time for a weeknight meal? 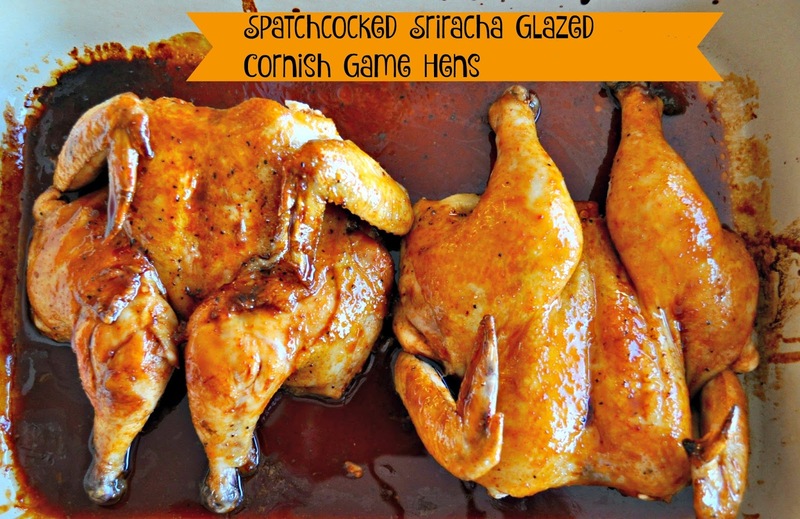 Then I happened upon Spatchcocking, something I’ve done in the past to chickens to cut grilling time, essentially you turn the bird over, use kitchens shears and cut the backbone out, turn it back over and gently press it flat, and grill. Could I pull it off with Cornish Hens? Well it was worth a try in my book if it meant I could reduce the time in the oven. I’m glad I went ahead with my experiment because by the time I’d finished cooking up the Sriracha Glaze, the Spatchcocked Cornish Hens were ready to be glazed! I’d cut the cooking time nearly in half, which is a WIN in my book and for anyone who wants to throw together a I-worked-so-hard meal while hardly breaking a sweat. Now about that hot sauce glaze, before you get worked up, thinking it’s too hot, it is spicy but my kids were able to tolerate the heat for the most part. Sriracha is not a brand name however and you can use any chili-garlic-vinegar hot sauce you prefer, so have fun choosing something you like! But then again if too much spice worries you, you can absolutely cut down on the heat by using less hot sauce or eliminating it all together. I would personally suggest trying it with less to begin with if you do like a little heat. 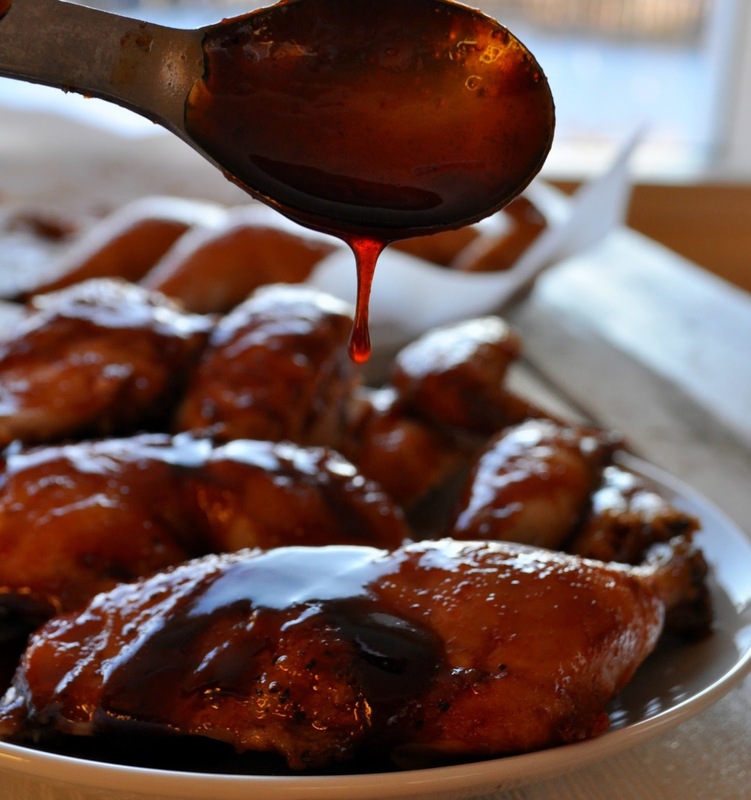 Or here’s another option, use your favorite barbecue sauce and forget the heat. Now that I’ve cooked with Tyson® Premium Cornish Hens I might be slightly obsessed with how easy they are to cook and how tasty they are. 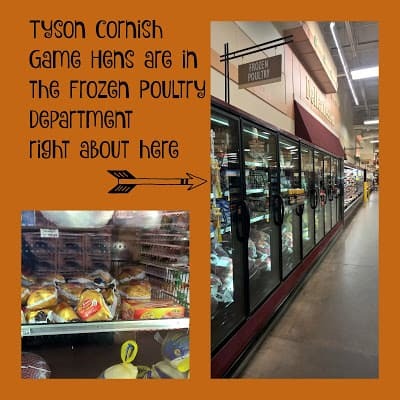 Have you ever cooked Tyson® Premium Cornish Hens? Thanks! I love that color too, I was super impressed by how EASY this whole thing turned out to be. What do you initially preheat the oven to? 350°F?  yes 350˚ to start–I’m editing the post the reflect that as well!